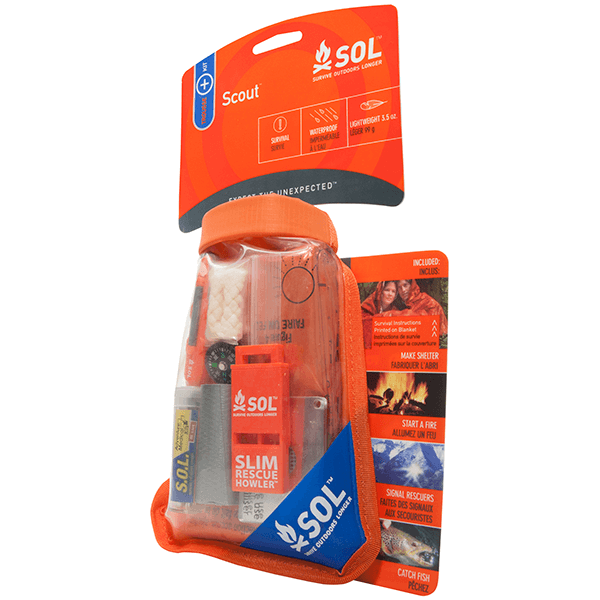 Priorities in a survival situation: escape the elements, stay warm, and signal rescuers so you’re easy to find. 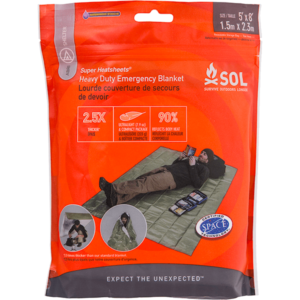 The Scout has you covered on all fronts: a heat-reflective 2-person survival blanket provides warmth and shelter from wind, rain, and snow, while the one-hand operable Fire Lite™ striker and waterproof tinder produce multiple campfires. 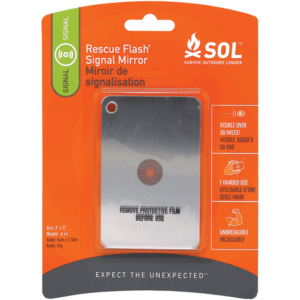 A 100dB Slim Rescue Howler™ rescue whistle and Rescue Flash™ signal mirror with retro-reflective aiming aid make it easy for you to signal your position to rescuers, and a compass, duct-tape and fishing/sewing kit round out the package. 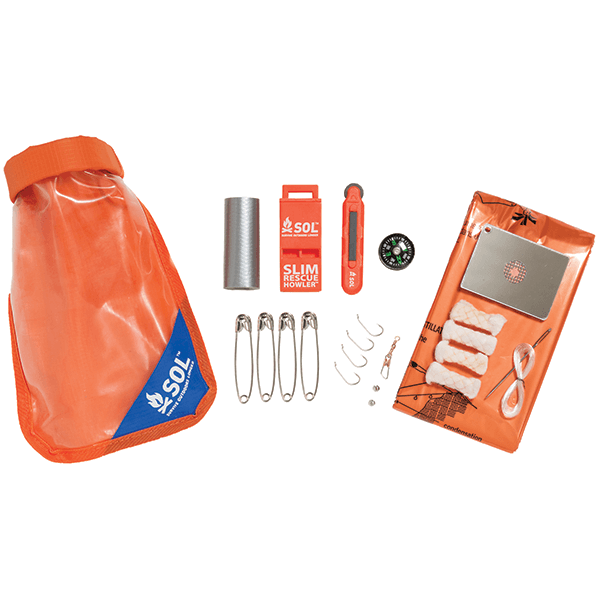 A professional-grade RF-welded waterproof bag keeps contents dry in any conditions. 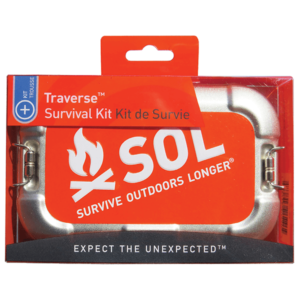 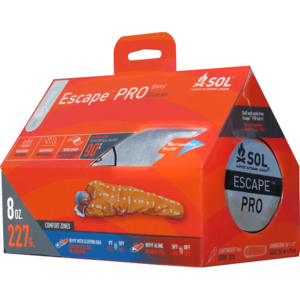 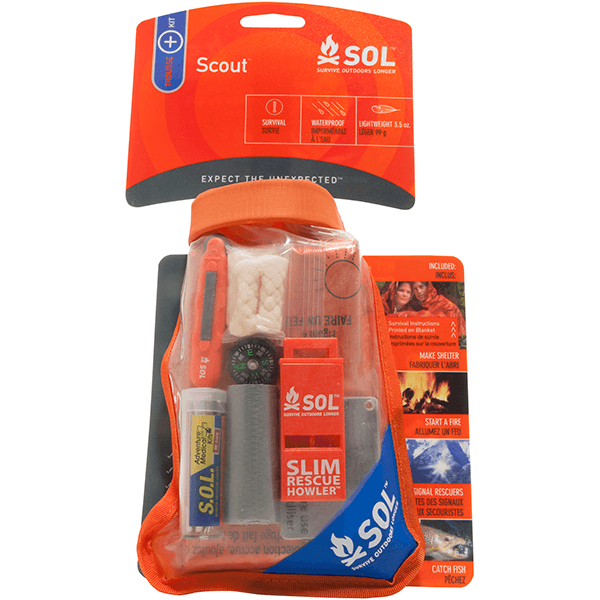 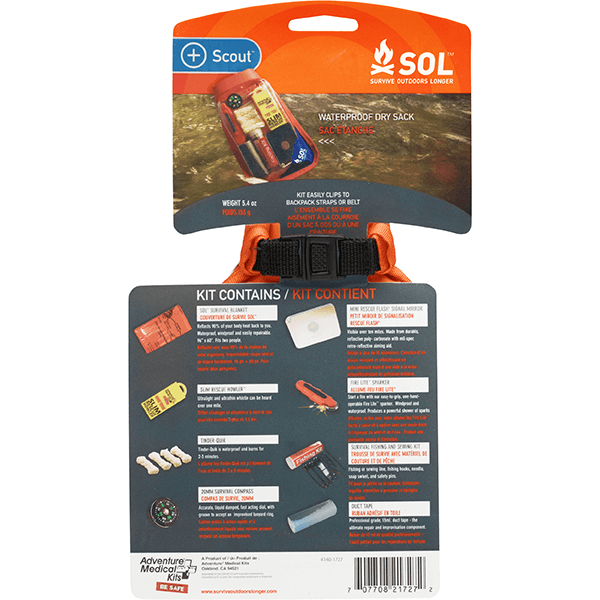 SKU: SOL0140-1727 Category: Survival Essentials Brands: SOL Survive Outdoors Longer.